Ayesha Shamsi loves her loud, involved, loving Muslim family. Really, she does. Sure, Ayesha’s working as a substitute teacher to pay back her uncle while her beautiful young cousin is turning down potential husband after potential husband. But that’s just fine because Ayesha isn’t interested in a traditional arranged marriage. But then she meets Khalid. For the life of her she can’t figure out why she’s attracted to him. He might be good-looking but he’s also judgmental and rigid. He follows his religion, well, very religiously and he’s extremely conservative. Ayesha at Last is likely one of the better Pride and Prejudice retellings I’ve read. Don’t get me wrong. I LOVE Pride and Prejudice. But it’s been retold so many times that often retellings can be suuuuper predictable. And a little boring. However, with the infusion of traditional South Asian Muslim culture into Austen’s classic, this reimagining felt very original and new. I was thoroughly charmed by Uzma Jalaluddin’s debut but it’s certainly much more than a light and fluffy Pride and Prejducie story. Uzma doesn’t shy a way from pulling the curtain back on the discrimination many Muslims face living in Western cultures. She does a great job revealing how anti-Muslim attitudes are so harmful to so many undeserving people. 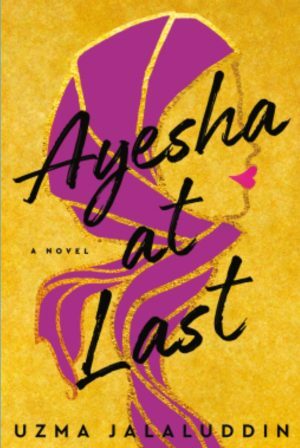 Ayesha at Last is set to release this June and you can pre-order it now. 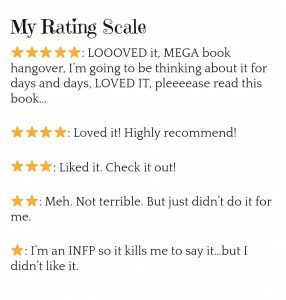 It’s sweet and timely and you should absolutely give this a read! 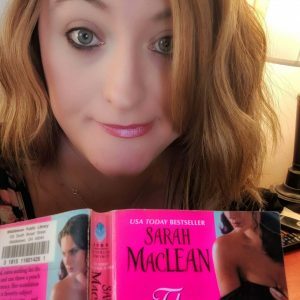 Thank you, Netgalley, for the opportunity to read an advanced copy.